New in Version 1.7: Copy diagrams in bitmaps or emf format and save diagrams as jpeg, tiff, pdf, bmp or emf. 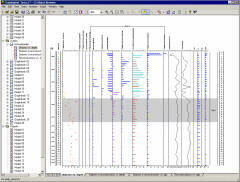 C2 is a Microsoft Windows program for analysing and visualising palaeoenvironmental data. The main features are: (1) create and apply apply transfer functions using weighted averaging (WA), partial least squares (PLS), weighted averaging partial least squares (WAPLS), Imbrie & Kipp factor analysis, modern analogue technique (MAT) and maximum likelihood regression and calibration (ML), all with leave-one-out, bootstrap or n-fold leave out cross-validation, (2) create scatter, line and bubble plots to visualise species environment relationships and to diagnose fitted models, (3) plot stratigraphic diagrams with bar, line, silhouette and symbol graphs, overlay multiple series on the same axes, and combine multi-proxy data from different datasets measured at different time or depth intervals in the same diagram, (4) scale graphics in absolute units (mm) or fit to page, and cut & paste diagrams to a favourite drawing package, and (5) import / export data to / from a range of common formats, including Excel, Access, Tilia and Cornell, and edit, sort, transform and merge datasets. A brief description of the program may be found here and full details are given in the user guide. The program download consists of a single executable that will install the program, help files, user guide, tutorial, and example datasets. C2 replaces my previous programs CALIBRATE, WAPLS, MAT and PDP. 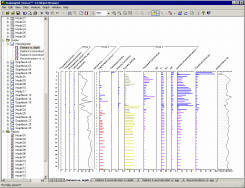 C2 is free to download and use but the data analysis and graphics functions are restricted to a maximum number of 75 samples. A license file that removes this restriction must be purchased to use C2 with larger datasets. Purchasing details may be found here. 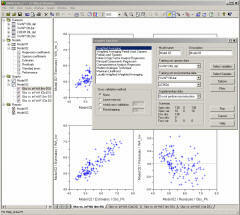 The data editing functions in C2 are not size-restricted. Recent versions of C2 has an option to check via the web for updates to ensure that you have the latest version. The upgrade is free and will work with existing licenses. The setup file below will install a new copy of C2 or upgrade an existing installation to version 1.7.7.